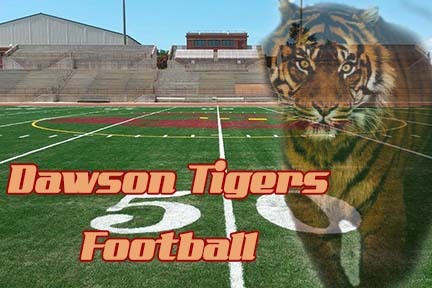 Last Friday the #2 seeded Tigers of Dawson welcomed in the 3rd seeded Rebels of Haralson County for a first-round game of the GHSA State Playoffs. Both teams came in ready to play and advance with the ultimate goal of reaching Mercedes Benz Stadium in Atlanta. Coach Maxwell had his team fired up as they took the field in front of their home crowd. 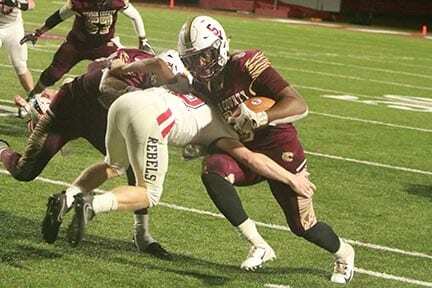 After suffering their only loss in the 2018 season to the eventual #1 seed in GAC, the Tigers felt as they can compete with any team at any level in Georgia High School. On this night there were never any doubts. Sevaughn Clark led his team to 44 points with an outstanding game both on the ground and through the air. Clark was 11 of 14 passing for 151 yards and had 15 carries for 113 yards rushing and 2 touchdowns. Several Tigers carried the ball for Dawson with Ahmad Kamara leading all with 18 touches for 175 yards with 1 touchdown. Senior Noah Brock and Junior Shawn Thomas also stepped into the end zone for Tiger touchdowns in the game. 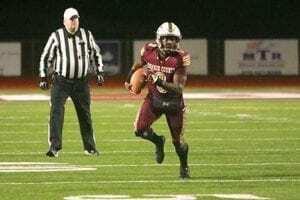 Ryan Glass had 7 catches for 112 yards and a score. Defensively the Dawson tacklers played very well allowing 273 total yards to the Rebels. Haralson stayed with the game plan of rushing the ball. The Rebels had zero yards through the air on the night. 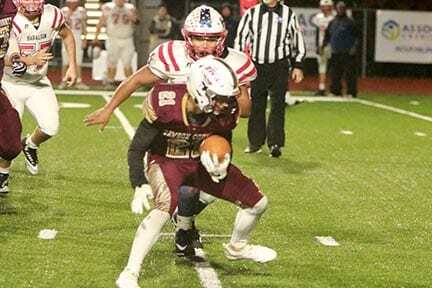 The Rebels managed 3 scores in the game with 1 two-point conversion in an effort to make it a one-score game in the third quarter. Haralson ran into a buzz saw defense from that point forward. The Tigers front and linebackers stepped up to shut down the Rebels offense. With the 44-22 victory over Haralson, the Tigers advance to the second round and will travel to play the no. 1 seed Canes of Monroe Area. This Friday night has these two teams rated pretty even on paper but everyone knows that’s not where games are won. Congratulations to the Tigers on a great season and best of luck in keeping it going with a big win on Friday night. GO TIGERS!